As I work on the final(?) edits for the book, it feels like picking my way through a minefield. What to say? 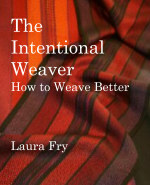 What to leave out as being redundant (because this isn't the only book on weaving and there are plenty of other resources available). How much information to share in terms of how I design my textiles? Do people need to have All the Information or just enough to spring board their own creativity? Do I really know things other people don't know? (I doubt it.) But! I have put myself into the position of trying to write it down. I have chosen to try to find my way through the hazards or writing a technical manual and find the words to pass on some of what I know to others. Writing this blog has been good practice for this. I have posted - almost daily - for ten years (yes, really!) now. The blog began as a way to document my recovery (I hoped) from a fairly serious health issue and how - through weaving - I could rebuild my life. Which is why I chose the Weaving a Life title. 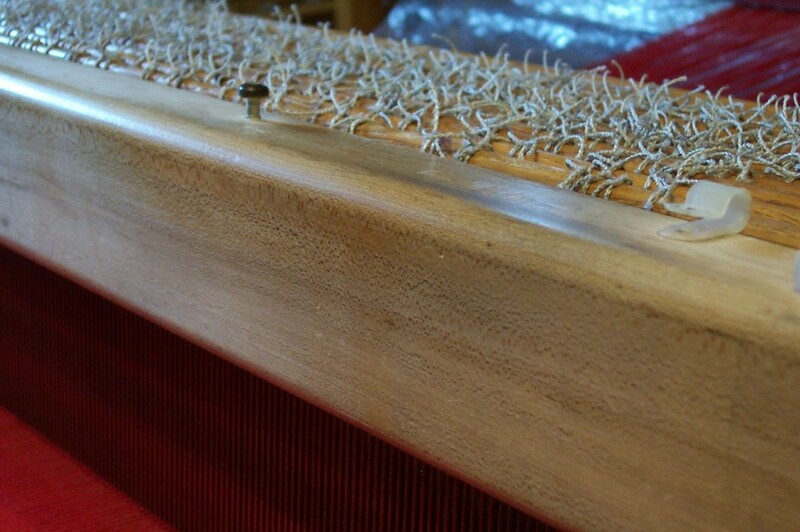 For 40 mumble years I have woven, almost every day, or written about weaving or taught weaving. It is such a big part of my life I cannot imagine not having it continue to be part of my life for a long time to come. But it is also time to modify my approach. After this many years of production weaving, which to be honest, takes a physical toll, plus 10 years of various and sundry health issues, my body is wearing out, breaking down. The production of this book has begun to feel like a final push to condense what I know in a format that will - with any luck at all - provide advice and information that may last beyond my ability to travel to students. Both Magic and this book were in large part a labour of love. But they were also another income stream. As I dial back on production weaving I am hoping that the books (and DVD's) will continue to provide information to help people make their weaving less stressful, easier, more joyful and help offset the fact that I cannot weave like I used to, don't really want to travel long distances and do craft fairs with all the travel and hard physical labour of setting up, working long hours on concrete floors, tearing down again. My plan for the immediate future is to reserve my reduced energy (thank you adverse drug effects - nurse practitioner observed that the cancer drug really doesn't much like me - yeah, I know!) for teaching the Olds program. I have in the past taken private students. I would be open to doing that in the future, too, but it's not something I'm going to work hard to make happen. Weaving a Life. Yes, I have. And will continue to do so, to the best of my ability.